Manchester United have reportedly decided against considering the sale of midfielder Paul Pogba for the next two transfer windows at the least. 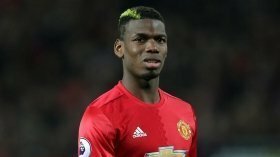 The Frenchman has endured a mixed spell since rejoining United from Juventus two years ago and this has frequently linked him with a probable exit from Old Trafford. However, according to The Telegraph, the United board are still said to consider him as an important player in their ranks and they are unlikely to seek his potential sale for the next 12 months at the least. Pogba had found himself in and out of the team under Jose Mourinho but the recent dismissal of the Portuguese has resulted in a recall under interim boss Ole Gunnar Solskjaer. The Frenchman has since excelled with two goals and two assists in the past two matches but his real test could come about when United face Tottenham Hotspur on the road next month.